What is Data Capture Automation and Migration? Blog What is Data Capture Automation and Migration? For some organizations today, the intake of information related to their business is still a very manual process. It may involve manually scanning documents one at a time, saving the digital file, retitling it to fit company naming standards, moving the renamed file to a new location, making note of the new document on a other master document, etc. etc. etc. Just reading the written description of the process is time-consuming and painful! Paper documents are scanned in batches with very little human involvement. 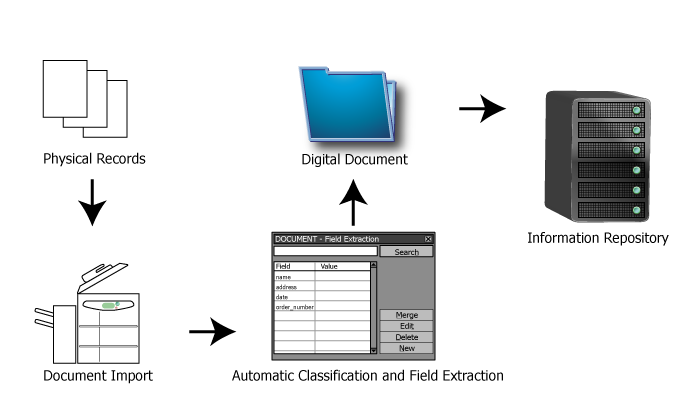 The digital files created are automatically identified (through optical character recognition, intelligent character recognition, optical mark reading, etc. ), categorized, tagged for search purposes and named according to defined business rules. The files are automatically stored or pulled into workflows as appropriate. The existence of the new files is noted in a master directory. Operations that might previously have taken days to complete on a large batch of documents now take minutes, with the vast majority of that period being the seconds it takes to run the documents through the scanner. The other (i.e. digital) operations happen almost instantaneously. And the electronic records can now be backed up, tracked, and subjected to to your data retention policies. Data capture automation and migration can involve one type/stream of input or many. And as new types/streams are created or old ones are eliminated, the process can be updated easily. It’s a significant amount of work, but again, the time, effort and financial investment pay for themselves many times over very quickly. And with Enterprise Content Management (ECM) experts like Buddha Logic managing the process, all the heavy lifting is done for you! Charles Weidman is the President and CTO of Buddha Logic. 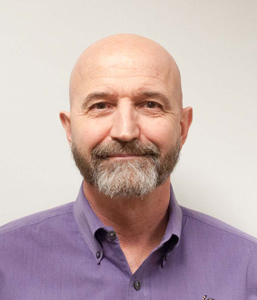 Charlie has over two decades of experience in the design, development and implementation of content services and business process management solutions. He is also an expert in robotic process automation. Charlie founded Buddha Logic with the idea that well-architected digital document capture and management processes are both beautifully simple and powerfully logical. Find and connect with Charlie on LinkedIn.